Hey guys! 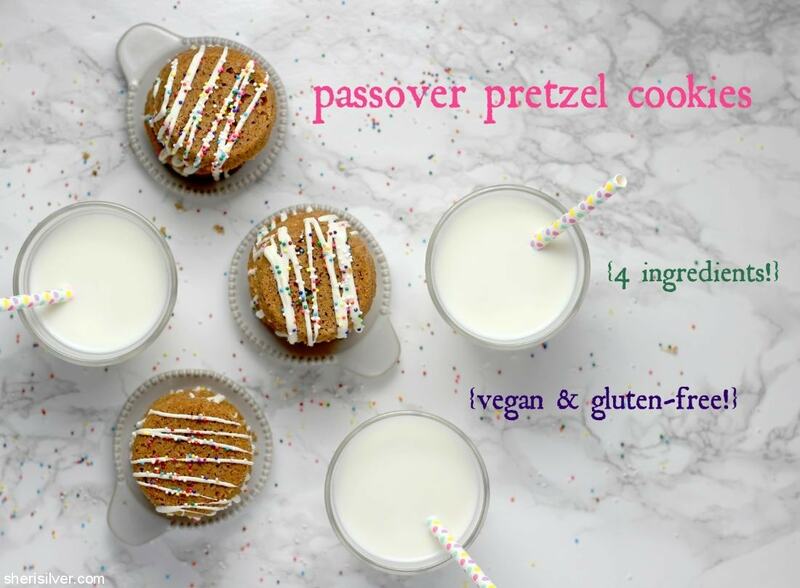 Passover starts in just over 2 weeks, so I thought I’d share a few recipes to get us all in the swing of things – starting with these super easy pretzel cookies! I saw these years ago on the fabulous My Name is Yeh, and was intrigued. 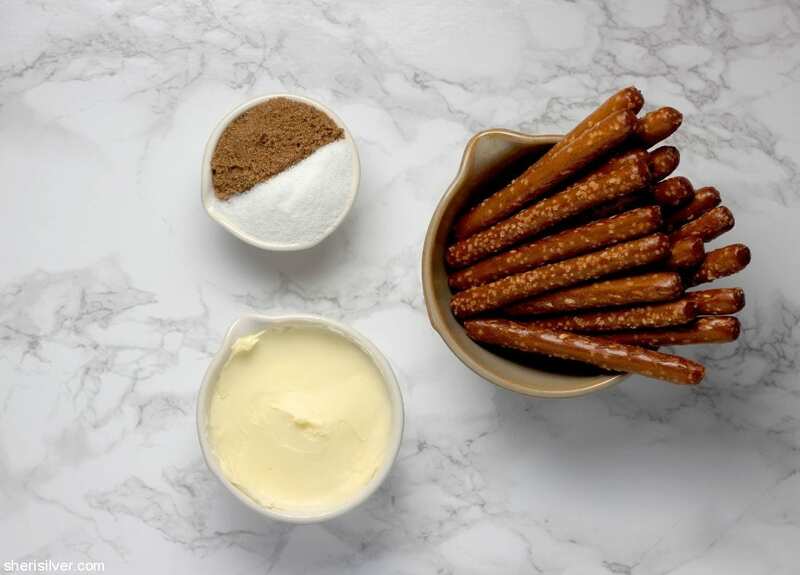 Leave it to Molly to think of turning pretzels into pretzel FLOUR. I followed the recipe exactly, and while there is no denying that they were delicious (I mean, pretzels, butter and sugar? Yes, please! ), I had a few issues. One was the size. They were very thick, and as such, not as “cookie-like” as I would have wanted. This was easily resolved by halving the recipe, which would give me thinner cookies. Done. Second, they were missing………..something. You’d think with all that salt that they would have lots of flavor but they were a bit bland. So I used half the amount of granulated sugar and filled in the rest with dark brown sugar. Perfect. As for the topping? Sky’s the limit. One of my favorite treats is a pretzel rod dipped in white chocolate and sprinkles so I went that route. But you can drizzle, dip and top with anything you like. These also make FABULOUS ice cream sandwiches, if you have some ice cream lying around. And best of all, these are very Passover-friendly! I used gluten-free pretzels** (which, IMO, are strangely better than the regular kind – would you agree?) to make the “flour”, and they worked beautifully. I then went extra and used a dairy-free spread in place of the butter to make them vegan as well. 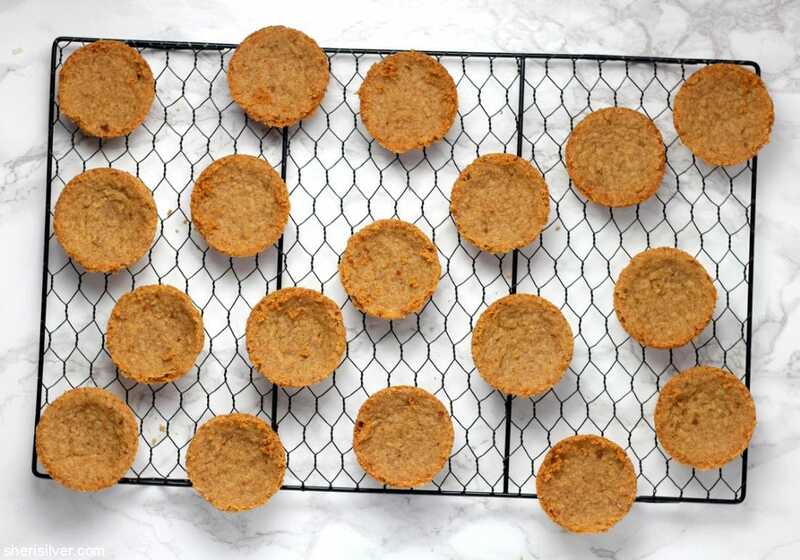 Come back next week for another delish recipe; in the meantime take a look at my Pinterest board for more Passover inspiration! 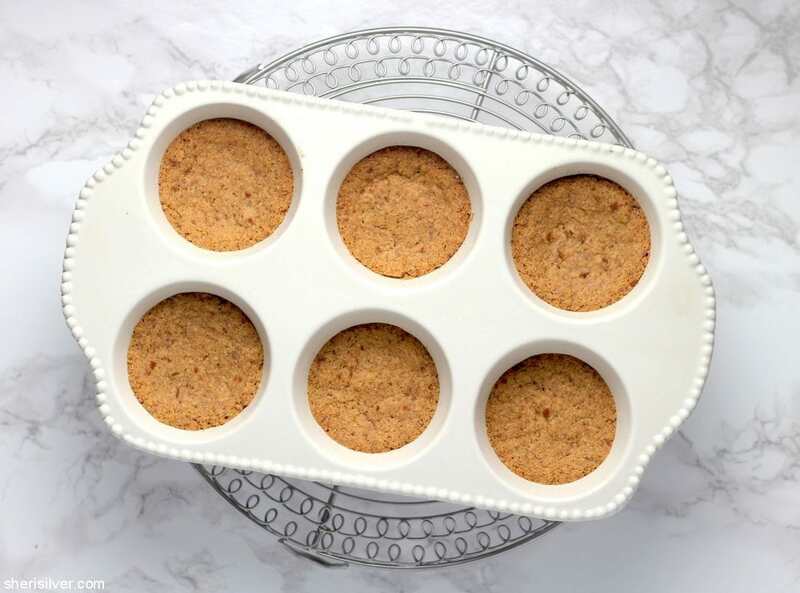 Pre-heat the oven to 350 degrees – grease 18 regular-size muffin tin cups. 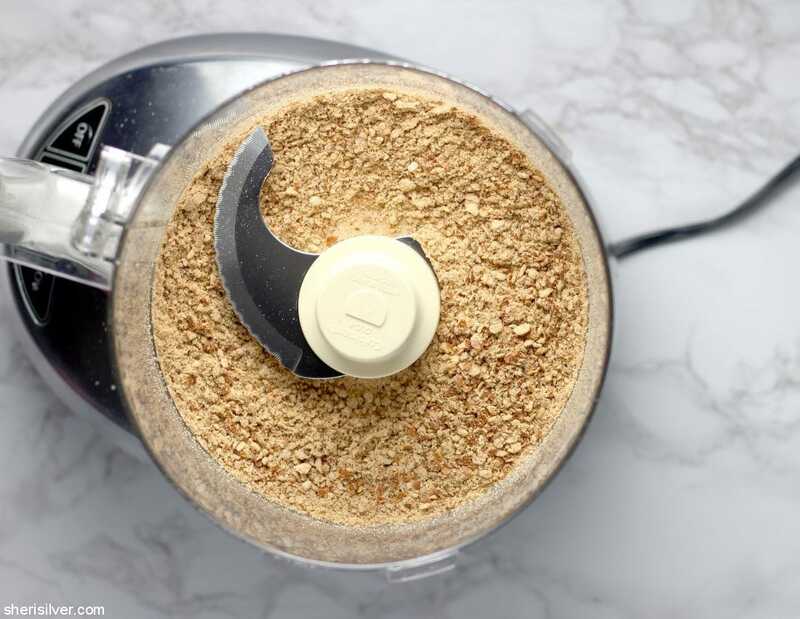 Blitz the pretzels in a food processor till finely ground – a few tiny pieces are fine but you want it as “flour-like” as possible. Beat the butter and both sugars till light and fluffy; scrape down the sides. Add the pretzel “flour” and beat again till well incorporated. Scoop about a tablespoon of the mixture into each of your muffin tins; press down using slightly damp fingers or the back of a spoon to level and even the dough. Bake for 10 minutes, checking after 5, till the cookies are golden brown. Cool completely in the pans on a wire rack. To facilitate removal, use the tip of a small paring knife or a small angled spatula. If decorating with melted chocolate, place the cookies on a wire rack set over a piece of waxed paper. Melt your chocolate chips in a bowl set over a pan of barely simmering water. Either dip the cookies into the melted chocolate or transfer the chocolate to a pastry bag. Snip a small opening in the bag and drizzle over the cookies. Sprinkle immediately with your choice of toppings and let set. **Note: Many Jews abstain from eating what is known as “kitniyot” during Passover. Kitniyot includes legumes, beans, peas, rice, millet, corn, and seeds. So chickpeas – and as a result, aquafaba – would not be permitted during this time. 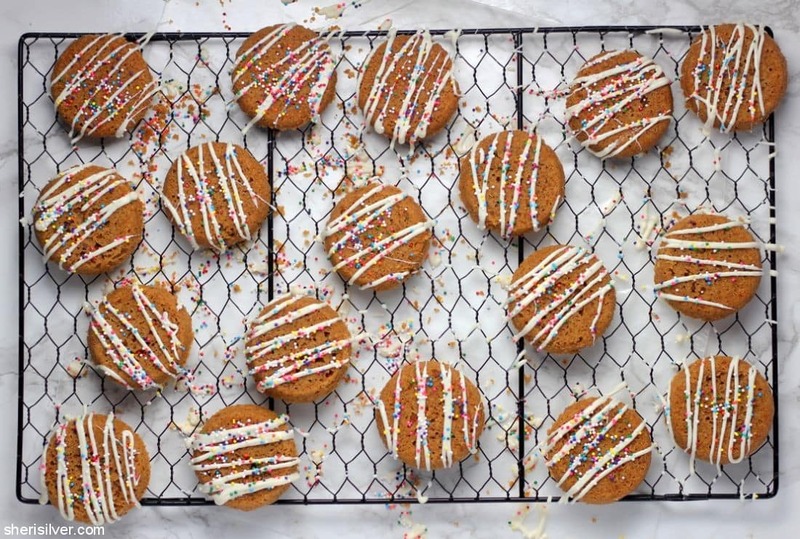 Need more cookies, vegan recipes or gluten-free ideas? I’ve gotcha.